Obituary for William C. Sebast | Varnum Funeral Home, Inc.
Cossayuna - William C. "Bill" Sebast, 76, of Cossayuna died on Monday, February 4, 2019, at his home surrounded by his loving family, following a courageous battle with cancer. He leaves behind those he cherished most, his wife of 55 years, Janey Mae Sebast of Salem, two sons, Greg Sebast and his wife Cheryl of Salem and Allen Sebast of Dannemora, NY; three grandchildren, Amber Sebast and her companion Tina, Kaila Sebast, and Cody Sebast and his companion Tonya; five great-grandchildren, Layla, Haylee, Caleb, and DeWayne Pollock and Daniel Sebast; his sister, Laura Petty and her husband Tom, nieces, nephews, many friends and his "family" at the Cossayuna Volunteer Fire Department. Bill was a farmer and enjoyed being surrounded by his animals - chickens, dogs, parakeet, peacocks, pigs or simply the birds playing at the raised feeder outside of his kitchen window. He could be found every August in the barns at the Washington County Fair showing off his poultry and bringing home many ribbons. He enjoyed spending time with his family, especially his grandchildren. As a friend of Bill's, there were two things you never had to question... his door was always open to you and the coffee was always on. 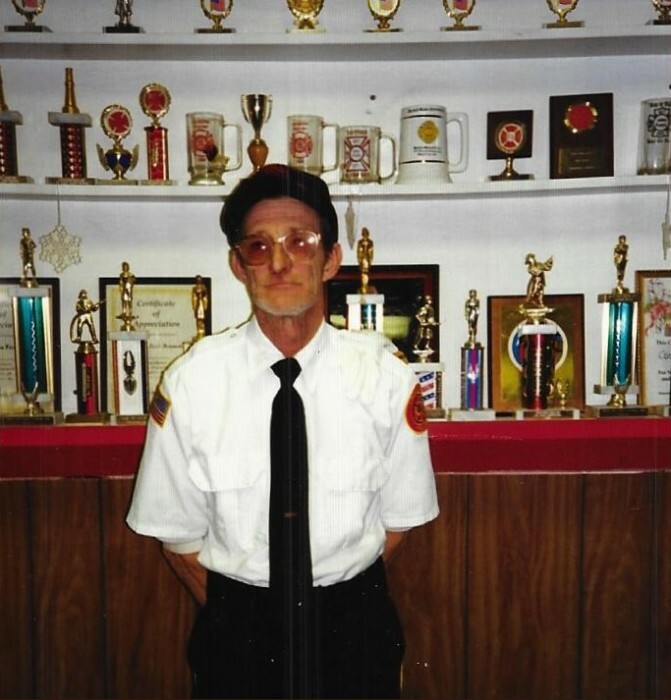 He was a proud member of the Cossayuna Volunteer Fire Department for more than 60 years, holding many positions throughout his tenure. He also volunteered for the Cossayuna First Responders and at the Comfort Food food pantry. He spent his life quietly caring for those in the community through his volunteerism, never wanting recognition for his countless good deeds. The Sebast family would like to extend their gratitude to Dr. Yun, Bill’s patient care advisor Lisa, and the entire team at the Glens Falls Cancer Center for the level of care and comfort they have provided. They would also like to extend a special thank you to Thomas and Barbara Buckley for their constant support throughout Bill’s illness. A Celebration of Bill’s Life will be held on Saturday, March 9, 2019 at 11:00AM in the Cossayuna Fire Station, 21 Bunker Hill Road in Cossayuna. In lieu of flowers, memorial donations should be directed to the Cossayuna Fire Department, P.O. Box 21, Cossayuna, NY, 12823 or to Comfort Food, IMO Bill Sebast, P.O. Box 86, Greenwich, NY, 12834. Varnum Funeral Home, Inc., 43 E. Main Street, West Brookfield, MA is assisting his family with arrangements. McClellan-Gariepy Funeral Home, Inc. assisted with local arrangements.